So if you are like me, everyone is starting to hand you either a bag of tomatoes, zucchini, or squash — which I gladly accept almost every time! If you've been following my blog on a regular basis, you'll know I've been guest contributing to Aftertaste by Lot 18 where last month I concentrated on cocktails and seafood. 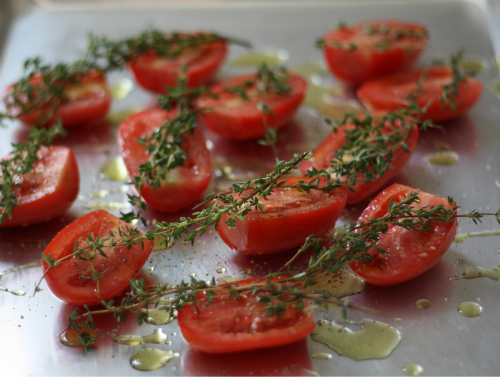 I've been kicking off July by using up the abundance of tomatoes coming our way! First up we have an E.A.T. 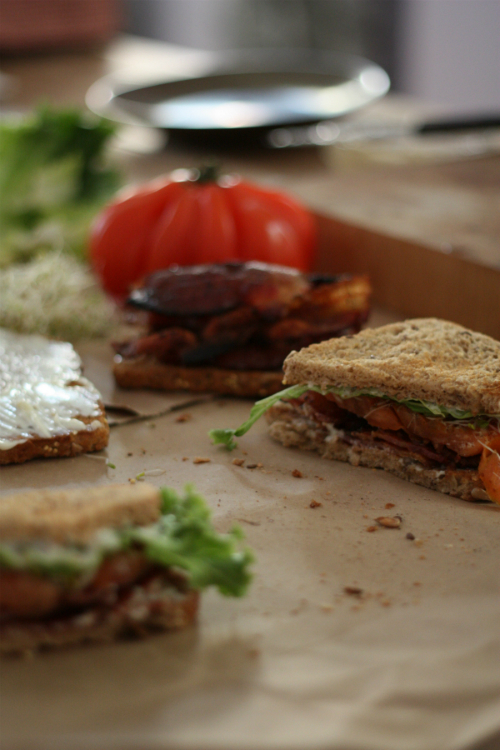 twist on the classic BLT. As I mentioned in the post it is just not summer until you have had your first Heirloom Tomato BLT. Find my version here. 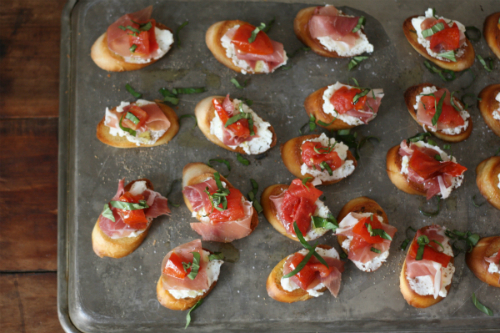 Next up, this easy Wine Party Bruschetta really is another recipe packed with flavor to help you use up some of those Roma tomatoes that don't make it into the spaghetti sauce. Full recipe here. Feel free to visit both of the links to find the recipe or technique for making these wonderful quick bites and while you are on Lot 18 be sure to check out some of their fabulous wine deals. Lol, you're killing me Tim. It's all good, I keep reminding myself... I have fresh fish, I have fresh fish.